The theme of the summit Exploring the Sociological interrelations between Health, Illness and Medicine aims to bring together leading Medical Sociologists, Sociologists, Social Workers, Healthcare Professionals, Medical Sociology Professionals, Social Science Researchers, and Academicians, including Nobel Laureates to exchange and share their experiences and research results about all aspects of Medical Sociology. 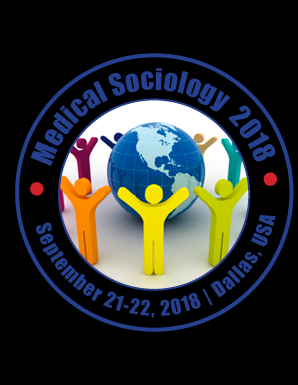 This event will focus on variety of Medical Sociology topics, including, but not limited to Community Health, Illness, Social work, Social Role, Social Medicine, Medical Anthropology, Race, Ethnicity, Mental Health, Pain, Gender, Genetics and Health Economy through invited plenary lectures, symposia, workshops, invited sessions and oral and poster sessions of unsolicited contributions. Join us for two intensive and interesting days of discussing contemporary Medical Sociology and Community Health Research. We invite you to contribute and help to shape the summit through submissions of your research abstracts, papers and e-posters. Also, high quality research contributions describing original and unpublished results of conceptual, constructive, empirical, experimental, or theoretical work in all areas of Medical Sociology and Community Health are cordially invited for presentation at the conference. Professors and deans of health economics, Graduates from science and social back ground, Business analyst, Health care providers, Doctors, Physicians, People working in health care sectors, Health economists, Health care policy makers, Hospital and skilled nursing home administrators, Community care coordinators, People centered in health policy and planning, Faculty of Health Sciences. James Dillinger must attend conference for public health professionals, healthcare professionals, medical sociologists, policy makers and young researchers across the world.